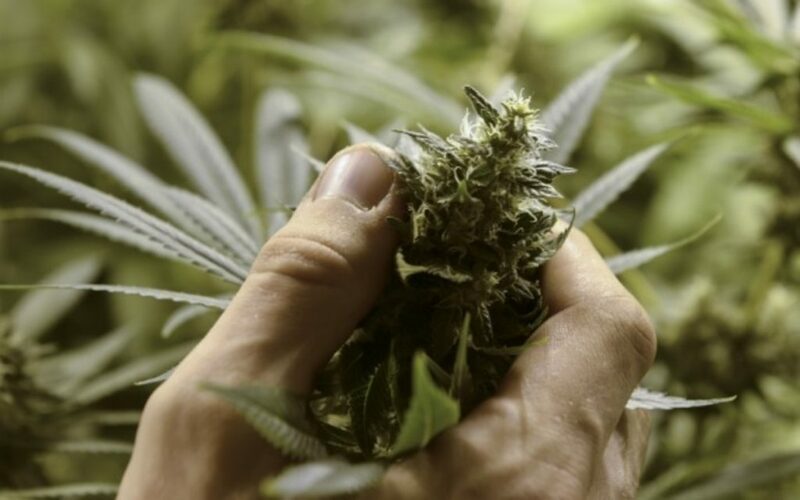 Aurora Cannabis Inc (TSE:ACB) (NYSE:ACB) (FRA:21P) stock traded markedly lower on Thursday, after proposing a private offering of US$250 million (C$332 million) of convertible senior notes due 2024. ACB finished the session down $1.00 to $8.70 (↓10.31%) on heavy volume. Simple corrective impulse from an overbought condition or something more? We explore. To recap the salient points of the release, Aurora Cannabis announced that it proposes to offer US$250.0 million aggregate principal amount of convertible senior notes due 2024. The notes will bear semi-annual, fixed-rate cash interest and be convertible into ACB common shares at a conversion price above ACB’s closing price on the day the notes tender. Conversion of the notes will be settled in cash, shares of ACB common shares, or a combination of both—at Aurora’s election. Net proceeds from the note offering is expected to support Canadian and international expansion initiatives, future acquisitions and/or general corporate purposes—including working capital requirements. Furthermore, Aurora Cannabis will grant initial note purchasers an option to acquire up to an additional US$37.5 million aggregate principal amount of notes. On a basic level, there’s nothing mystifying about the decision to raise capital in this manner. Instead of issuing another 35-40 million shares straight-away, Aurora is choosing to make non-variable coupon payments over time. Over the life of the term—assuming 5.00% fixed-rate interest (pricing coming soon)—could mean $75 million or more is surrendered in interest. While the company’s frenzied M&A pace has slowed down in recent months (excluding ACB’s recent $175M all-stock deal for WMM), there’s still potential working capital and/or acquisition gaps to fill before their hockey stick curve takes shape—including projected positive cash flow in Q2 2020 (4th calendar quarter of 2019). By retaining principle repayment optionality in 2024, Aurora is essentially using this debt facility like a credit card: pay semi-annual interest as they go, and repay the principle in 5 years once operations have really scaled. By then, they’ll be in much better position to absorb the liability. Aurora will presumably be generating 10-digit annualized sums and 9-digit net income totals, meaning future share issuance amounts (assuming much higher share prices) will be minimized. Should Aurora Cannabis pay back the principle without issuing, even better from a shareholder perspective. The negative drawback is the fixed-rate, fixed-term coupon payment over five years. This adds a significant non-operating expense to the company’s income statement, at a time when Aurora Cannabis is attempting to turn the corner profit-wise. Over time, this expense will become increasingly insignificant—but not in 2019. Just maybe, today’s selling is somehow tied to this reality. Despite tapping the markets in a manner that delays share issuance, investors bid ACB aggressively lower irregardless. One can even make a case that this time was different. Why do I say this? The move in ACB common was more vigorous—and on much higher volume—than two previous day-after post-convertible offerings. In both previous instances, sector bellweather ETF Horizons Marijuana Life Sciences Index ETF (HMMJ) finished menially lower—much like today—providing roughly comparable sector sentiment comps. Consider the C$400.0 million of convertible senior notes due 2023 Canopy Growth announced on June 23, 2018. The deal was structured in a similar way, with principle repayment also settle-able in cash, common shares of WEED, or a combination of both at the company’s discretion. The reaction in the stock the following day? A big yawner. WEED finished down ↓3.31%, but on volume that was 20% lower than the previous session. A few months later on October 3, 2018, Tilray announced a similar US$400 million aggregate principal amount of Convertible Senior Notes due 2023—with an additional $60 million aggregate principal amount purchase option. Again, much the same terms, much the same dynamics. The following session, Tilray fell moderately (↓7.18%), but on the lightest volume count in 27 sessions. Lack of buyers influenced price action more than forceful selling—yes, there is a difference. In today’s Aurora Cannabis trade however, the move was more convincing. As indicated, ACB finished the session down $1.00 to $8.70 (↓10.31%), but on heavy volume that surged ↑39.98% session-over-session. On-close selling was fierce, as prices jackknifed through the 200-Day simple moving average ($6.68) without pause. Quite simply, sellers remained unrelenting all day, changing momentum in a stock which had been among the sector’s best performers of late (↑45.72% over the previous six sessions). Today’s weakness in Aurora Cannabis was a predictable and logical outcome. Raising US$250 million has its ramifications, whether principle repayment is deferred or not. The big question is whether ACB’s outsized move is the market signaling dilution exhaustion (or perhaps added near-term earnings report hurdles), or whether it was simply an isolated decline—similar to many post-convertible offerings before it. The good news is, Aurora Cannabis “hockey stick” curve is about to go vertical, and it’s already obtained many of the components required to be a world leader. That, in itself, will make this convertible note offering look like child’s play by the time the notes mature.